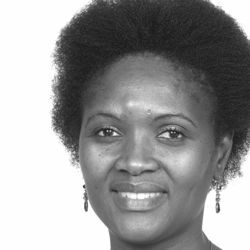 Constance Mongwenyana, joined HE2RO in 2009 as a Study Coordinator,providing technical and field-based support, to numerous research projects conducted by HE2RO. She holds a MA in Health Sociology from the University of Witwatersrand and a BA (Hons.) from the University of Limpopo. She has over five years of experience and contributes to research development, design, and implementation. Prior to joining HE²RO she was working as a Human Behaviour Scientist at CHRU in 2008. She was also an administrator and a founder of Tshepo Themba Development Centre, a Non-Profit Organisation under the Department of Social Development. She currently is working on numerous studies namely, “Economic outcomes of HIV/AIDS care and treatment in South Africa”, “Rapid initiation of antiretroviral therapy to promote early HIV/AIDS treatment in South Africa (RapIT)”, “RapIT Supplement Study: Non-Communicable Diseases and Antiretroviral Therapy Outcomes in the RapIT Study Population (NCD)”, and “Rewards for Tuberculosis Contact Screening (RECON)”.